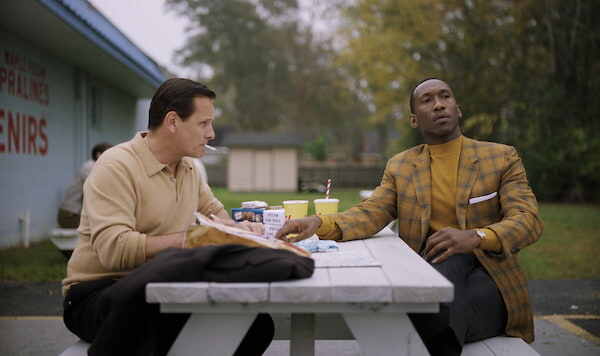 The most engaging aspect of ‘Green Book’ and its story (based on real people and true events) is how it looks into racism in America and how it frames the ideas and concepts of bigotry and discrimination in its smallest, often-times regarded, “harmless” manifestations. Veteran comedy director Peter Farrelly ("There’s Something About Mary"), competently juggles tone and mood to deliver solid laughs while hammering home the notion that it’s the little things that can wear away at your humanity. 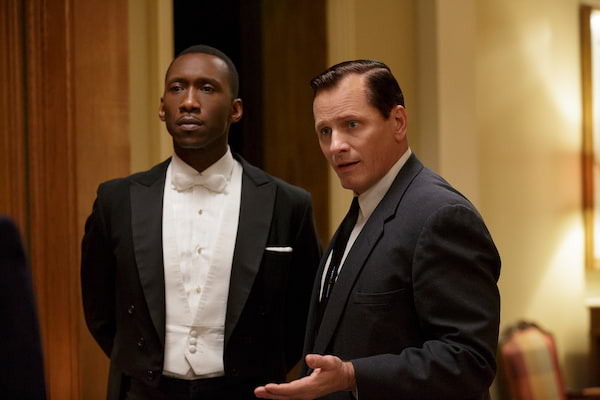 Set in 1962, ‘Green Book’ is about an uneducated yet street-smart bouncer, Tony Vallelonga (Viggo Mortensen), who gets a job to drive the African American classical pianist Don Shirley (Mahershala Ali) for a concert tour in the deep South. Ideas about racism and class struggle are brought to the service as both men are changed by their experience with one another. The film’s title alludes to the guide book handed out in that period for safe travels for people of color throughout America. Much like many of the narrative beats in the film, the eponymous green book is mentioned once or twice, to set the film’s central theme but Farrelly and company lay off going heavy-handed in order to deliver us a quirky, pleasant drama/comedy about letting someone into your life and broadening your world view. Taking many of its cues from more uplifting films of the same theme like ‘The Help’ or ‘Hidden Figures,’ ‘Green Book’ is focused squarely on the relationship of Tony and Doc Shirley and the hilarious collision of these two worlds. The crass and brusque manner and way of Tony (wonderfully portrayed by a completely transformed Viggo Mortensen) is grating and distinctly contrasted by the stillness and sophistication of Don Shirley’s education and class. In this, it’s another award-worthy turn by the captivating Mahershala Ali, who imbues the classical pianist with so much energy despite the character’s repressed nature. Because if it’s about anything, ‘Green Book’ is about repression: that a person like Don Shirley -- a highly educated, brilliant and talented artist -- is allowed to perform for the upper crust of the American South but is denied entry and service in the same venues he performs in can really bring the anger out from anybody. This is the interior world that Mahershala Ali is constantly playing around with every little gesture and look. Ali’s Shirley is an outsider -- too Black to be treated humanely by white people in the 60s, but also too educated and refined to be accepted by his own people -- and it is the inherent loneliness of that world that Ali brings to the forefront of the character without making it swallow his character whole. It’s a performance that serves a whole lot of heart but has space enough for the comedic parts to surface. Because, outside of this beautiful story of two men who are waking up to what racism in America really is about, ‘Green Book’ allows us to look at squarely in the face and laugh at it. The film does not shame us for our own lapses and faults. Because everything comes out, in this film. Farrelly and his co-writers Nick Vallelonga and Brian Currie have their eyes focused on the little things -- the little lapses of honor and dignity and the little lapses in civility and courtesy. 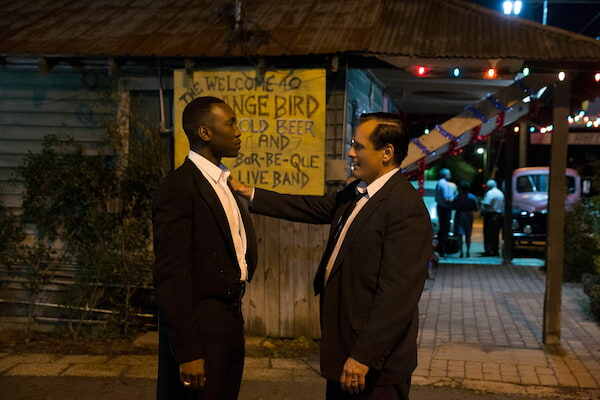 It gives us moments to laugh but when it takes a step back to look at all the little things that were done wrong to Don Shirley in the film, it piles high and it gives ‘Green Book’ a chance to hit straight for the heart when you least expect it. It’s why the film works because it comes in such small increments, chipping away at your sense of comfort bit by little bit. Much like how it must be for people who suffer from small, little degrading acts everyday. There are bigger movies about racism and discrimination that can paint a powerful picture of the horrors of this unequal treatment of our fellow man. But many of these films are confrontational and the people who have to see it would probably be resistant to it for that same reason. It’s why a film like ‘Green Book’ makes such a powerful statement because it’s underhanded and discreet. It’s subtle and it harnesses the powerful power of laughter to disarm us and distracts us for what it is really doing -- putting a focus on the little things that we do that puts distance between us and the person who is not like us for a simple reason like the colour of our skin or upbringing.